If you wish that The First 48 had better production values, or that explosions in action films were a tad grittier, then great news: A new thriller is underway that will reportedly be shot in real time. 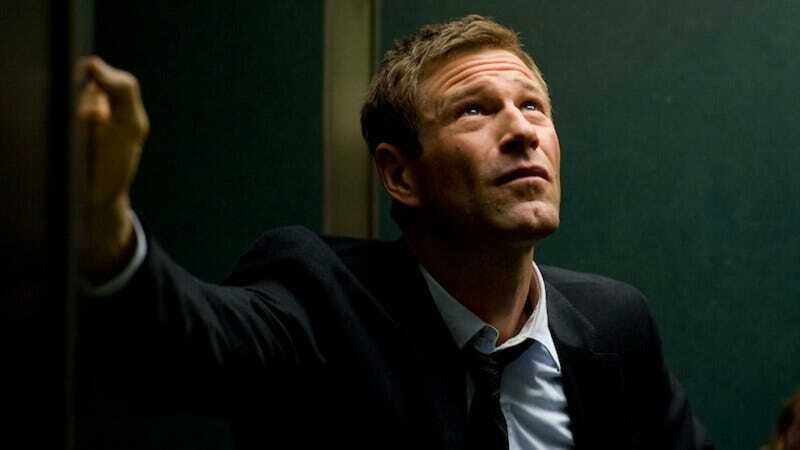 The film, Live!, will follow Aaron Eckhart’s preciously named but disgraced cop, Kyle Penny, as he attempts to rescue the police commissioner’s kidnapped daughter. But because sometimes the hunter becomes the hunted, Kyle will also be running from a “deranged killer.” And because sometimes we like to watch the hunted hunter hunt, there will be some kind of social media-savvy reporter recording Kyle’s every move to share with her followers, thereby delivering on the film’s live premise. Darrin Prescott and Wade Allen, who did second unit work and stunt coordination for John Wick and the Matrix movies, will tag team their directorial debut. The Solution Entertainment Group is producing, with a script by Battlefield video game writer Jeremy Drysdale. Eckhart recently teamed up with The Solution and his Rabbit Hole co-star Miles Teller for Bleed For This, a biopic about world boxing champ Vinny Pazienza. We don’t have much information on what will constitute a “real-time action film”—maybe it will be shot in 48fps, which Peter Jackson used in his cinéma vérité masterpiece, The Hobbit: An Unexpected Journey. So far, the “real” aspect of the movie only extends to the way it will be filmed, which is probably why the script still contains such far-fetched elements as enough free WiFi access to allow the reporter to upload her videos with relative ease.